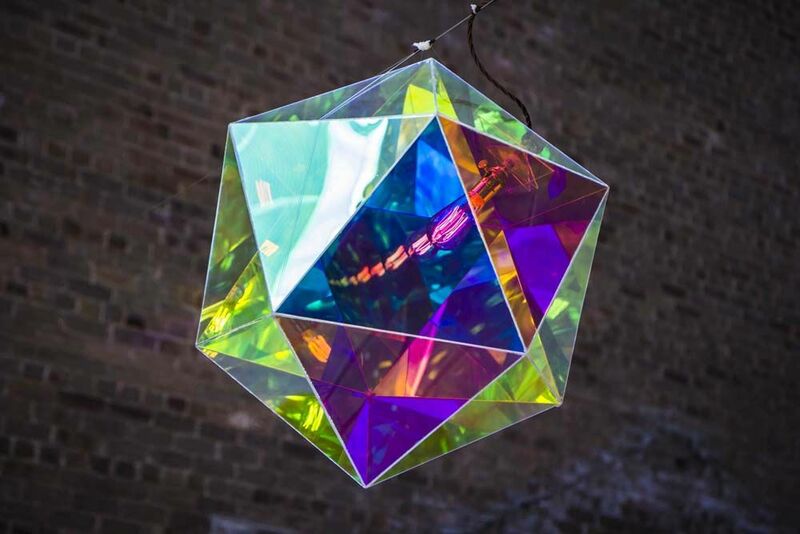 Mirobolante – A light experience glowing with a complex, ever-shifting rainbow of colour. 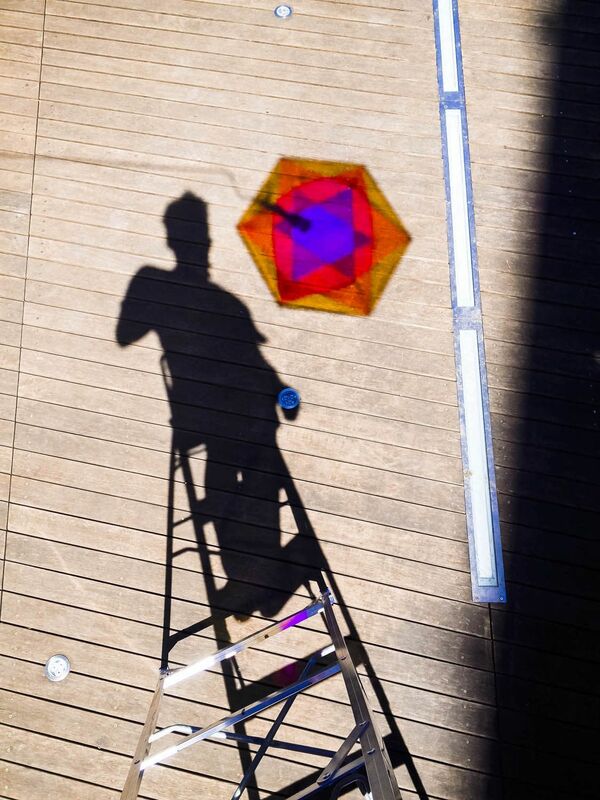 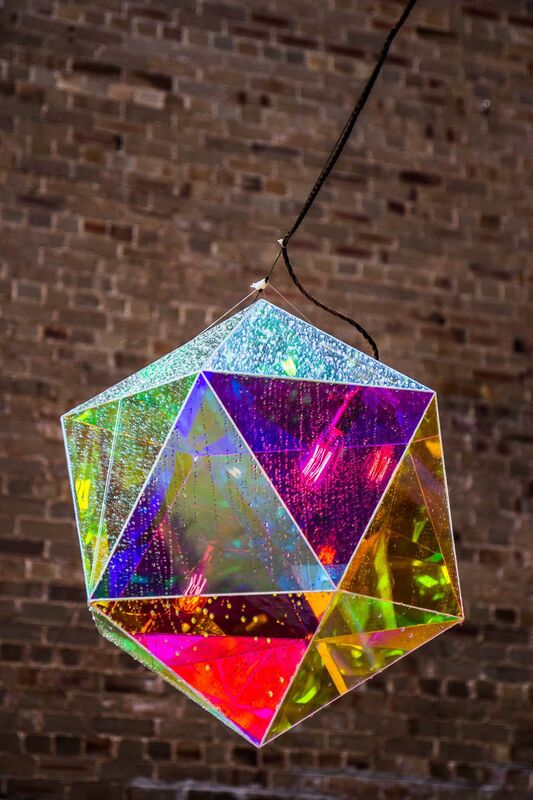 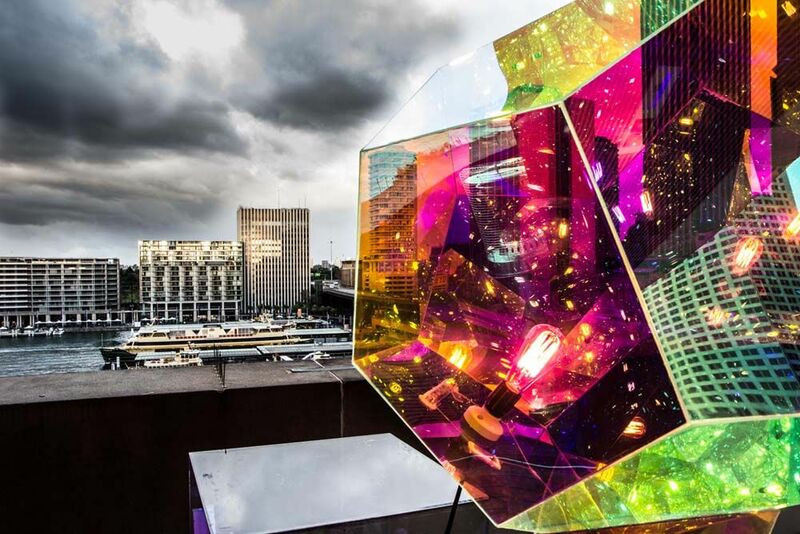 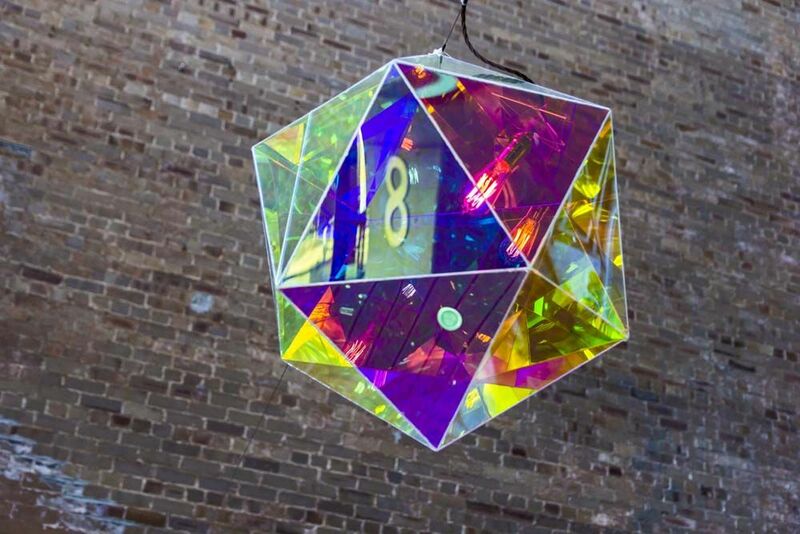 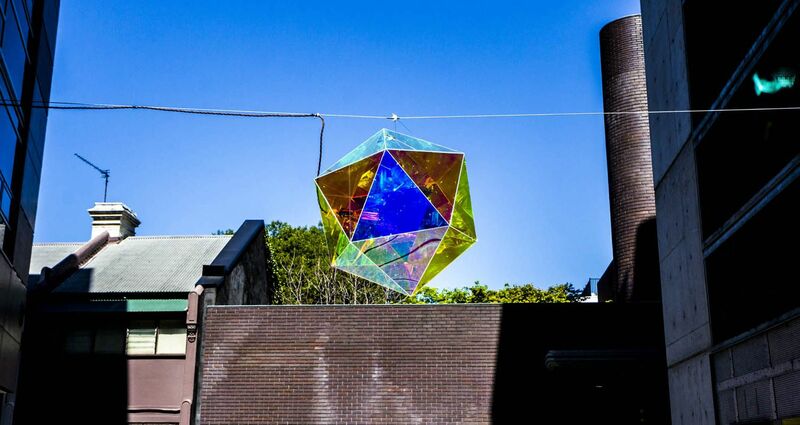 Glowing with a complex, ever-shifting rainbow of color, Mirobolante light sculpture uses the properties of Radiant Plexiglas a mirror-like, translucent, color-emitting material. 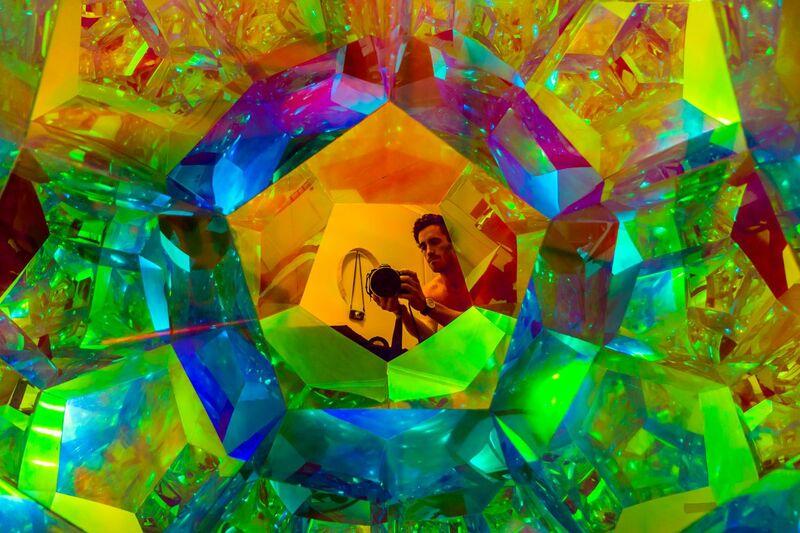 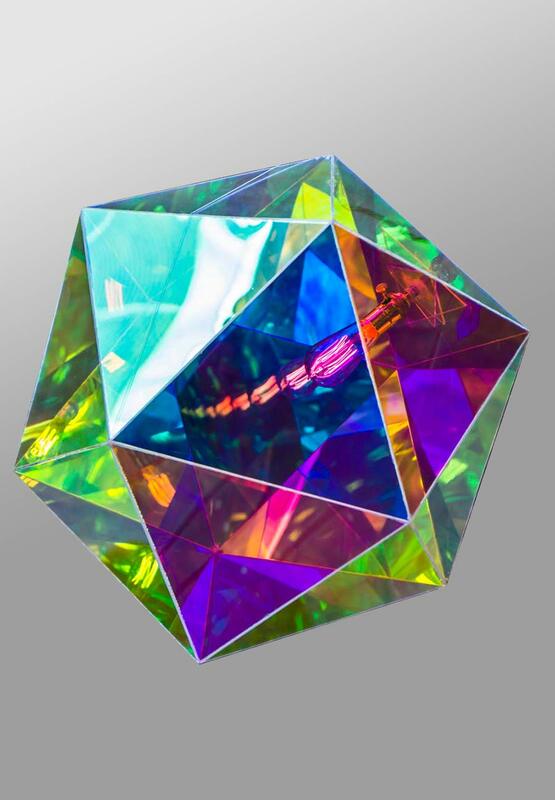 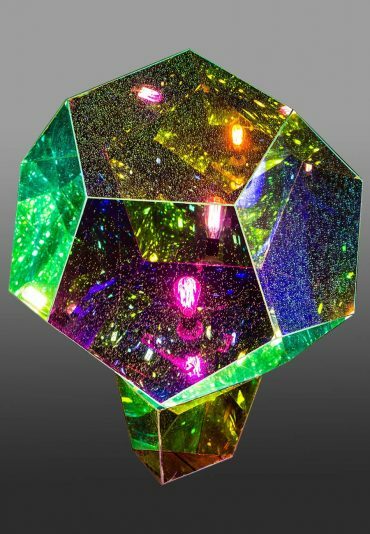 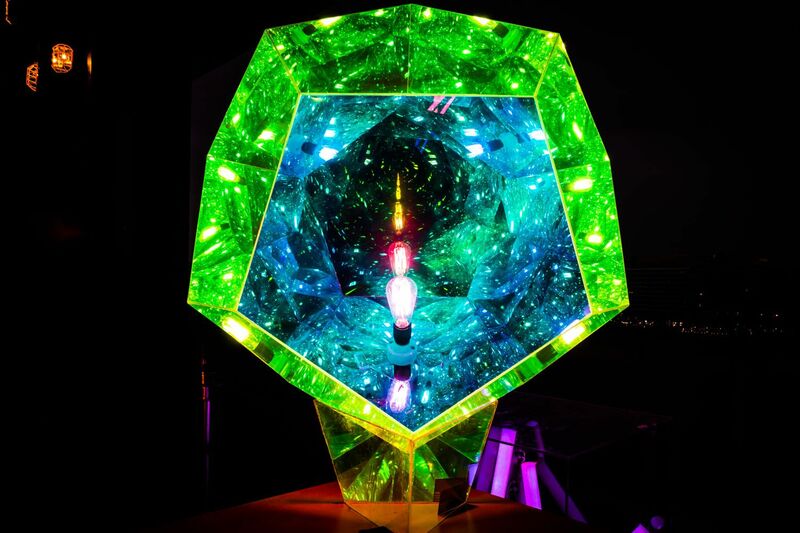 Similar to a kaleidoscope, colors and mirror reflections radiates from this light in function of the viewers position. 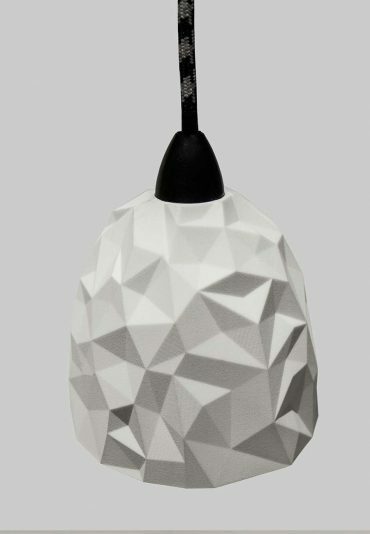 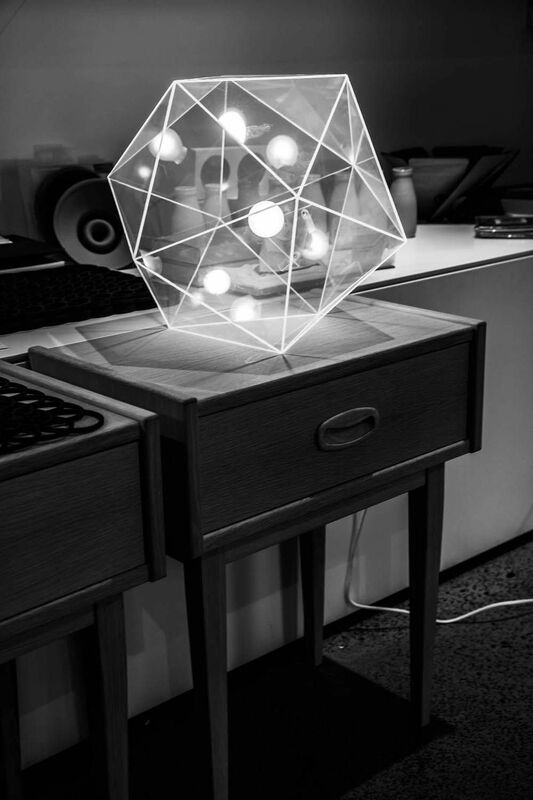 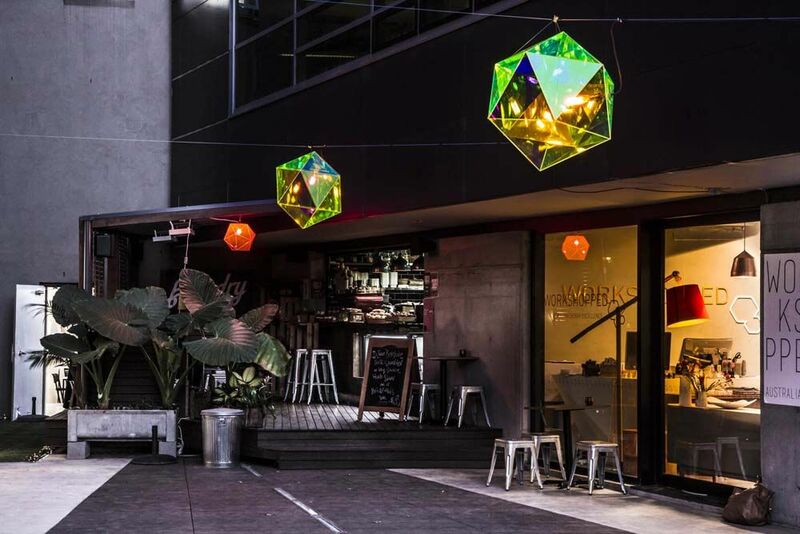 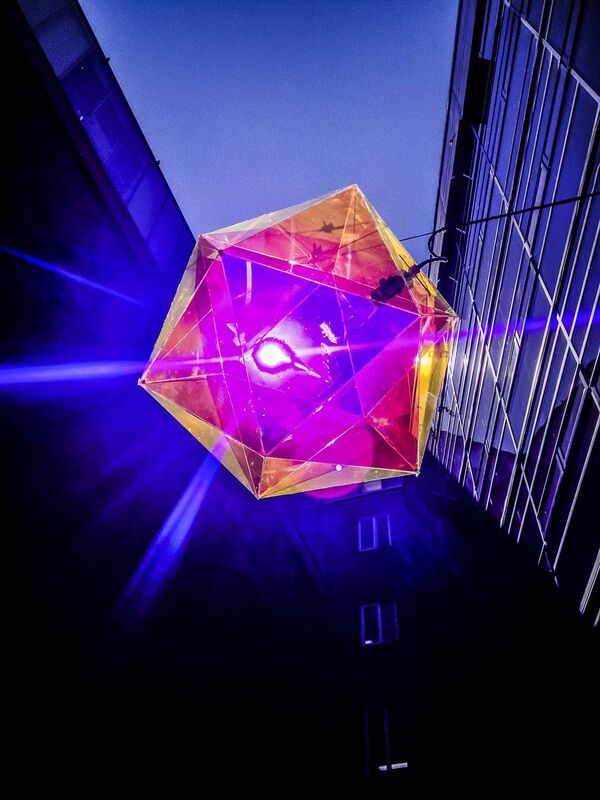 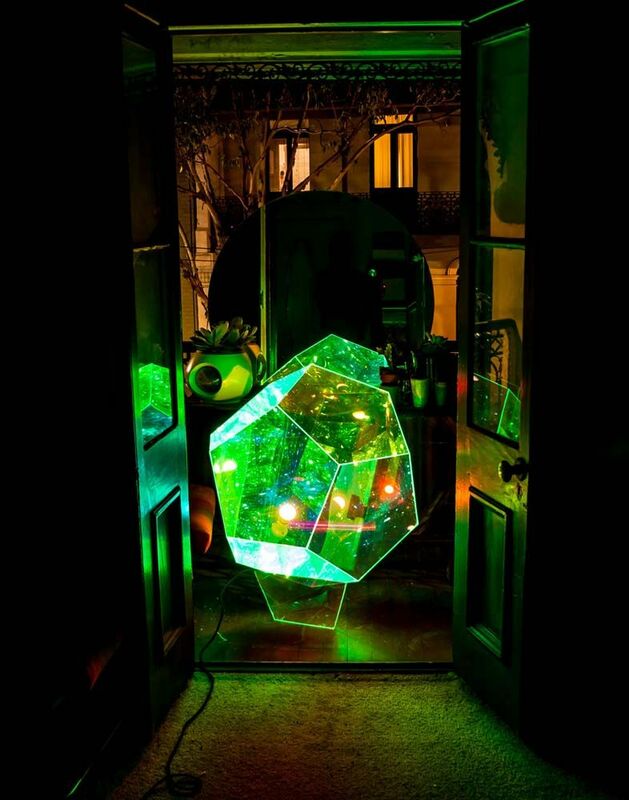 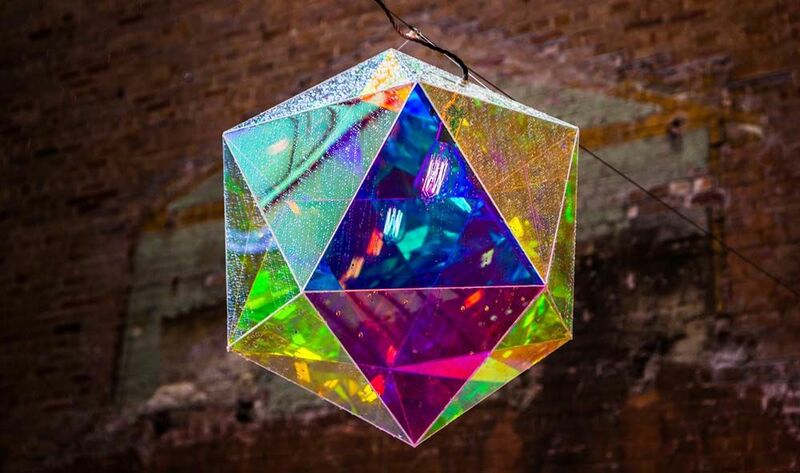 Mirobolante comes in 2 different shapes: Icosahedron (20 triangles) or Dodecahedron (12 pentagons) and can be used as a pendant, floor or table luminaries.